For larger version of map, click here. 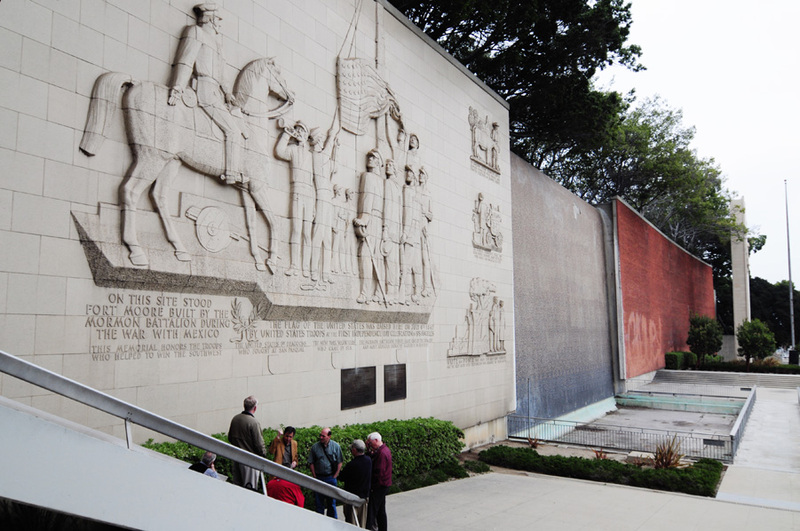 The first CicLAvia of 2019 is the earliest calendar date CicLAvia event and the second during the Winter season. And with a high temperature of 61 degrees, this will beat out the last CicLAvia in December in terms of coldest to date. This is the 29th iteration of CicLAvia, with a 5.8-mile route that is a truncated version of the March 2017 "Culver City Meets Venice" course, and parts of which were also covered in the August 2015 and April 2013 open streets events. You should know the drill by now, Share this link on your Facebooks, Twitters and Instagrams, visit the sights yourselves -- and if you do, use the hashtag, #EpicCicLAviaTourAnd here...we...go! 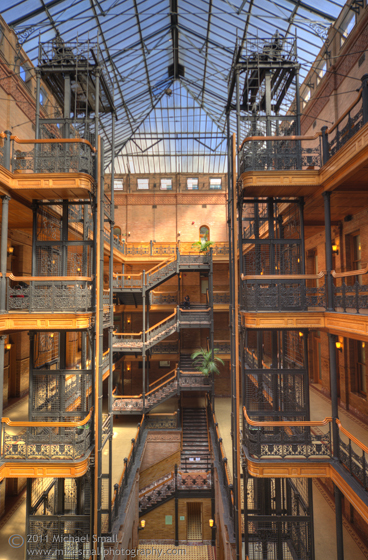 The sight of this Byzantine domed structure will strike a chord in many older Angelenos. 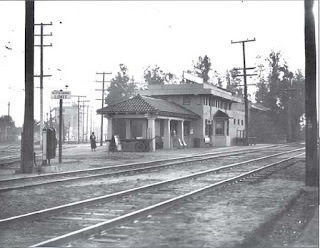 Established in 1925 by restaurateur John G. King, in the era before Zankou, Koo-Koo-Roo, Pioneer Chicken or even Knott's Chicken Dinners, this was the place for a chicken dinner in the Los Angeles area. King's wooden tropical-style hut burned down in a 1930 fire, but was replaced later that year by the familiar domed building that featured an exotic koi goldfish pond in the front. The Southern-style chicken and jumbo squab (that's roast pigeon) dinners were still legendary and the place remained popular through the 1940s and '50s. The restaurant closed down in the mid-1960s and was eventually repurposed as tire and auto body shop in the 1980s. 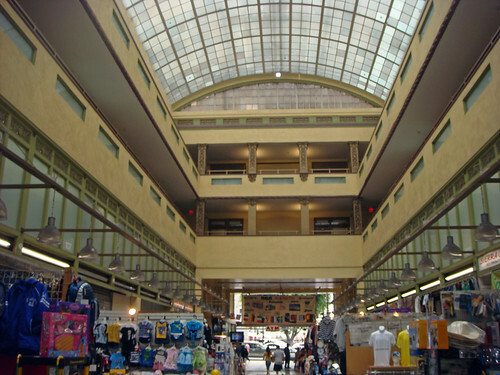 It was demolished in 1994 following damage from the Northridge Earthquake. 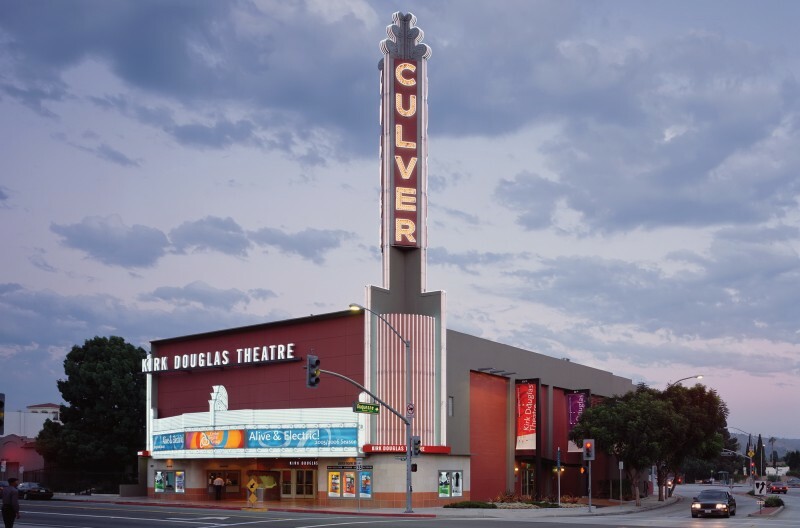 A Culver City historical marker is placed at the location and the archway of the modern shopping center at Washington and La Cienega pays architectural homage to the dome. 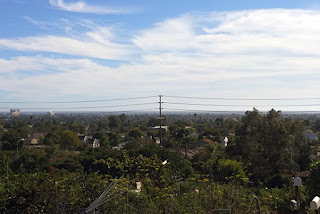 This six-acre park on the northeast corner of El Ciudad de Culver is in a unique location: Los Angeles-adjacent, situated along the banks of Ballona Creek, it opened in 1940 as McManus Park where Pacific Electric Red Cars sped by for the next 13 years. In 1992 the park was re-named after longtime Culver City municipal employee "Uncle" Syd Kronenthal (1923-2015) who, during his 52-year tenure, helped develop the city's Recreation and Parks department and established 14 parks in the Heart of Screenland. 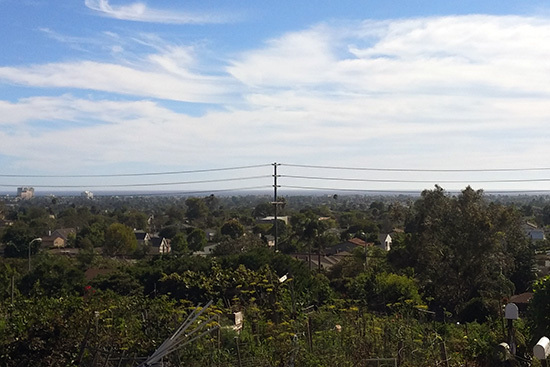 Today, the park, just two blocks south of the CicLAvia route, is also accessible via the Expo Line Bike Path and the Ballona Creek Bike Path. 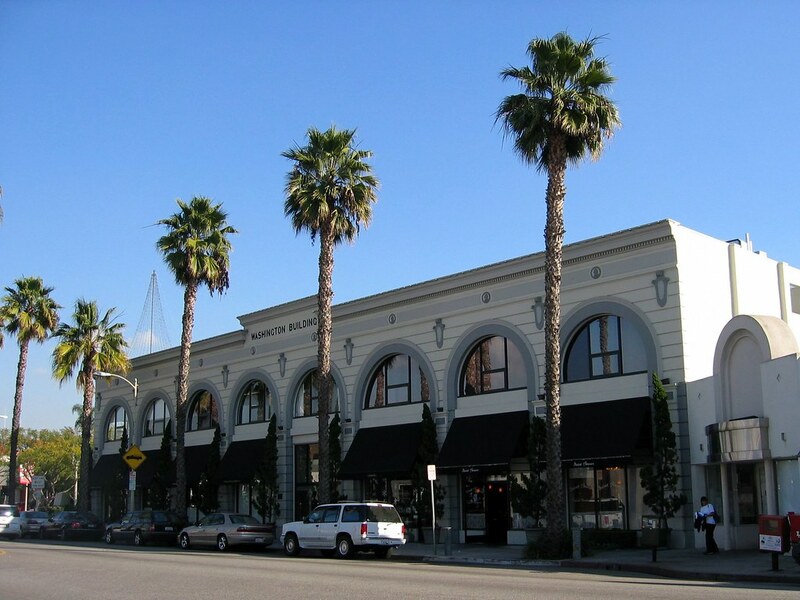 This tell-tale set of architecturally-unique buildings makes up Culver City's Hayden Tract, a collection of offices, art galleries, design firms and entertainment and tech industry studios. 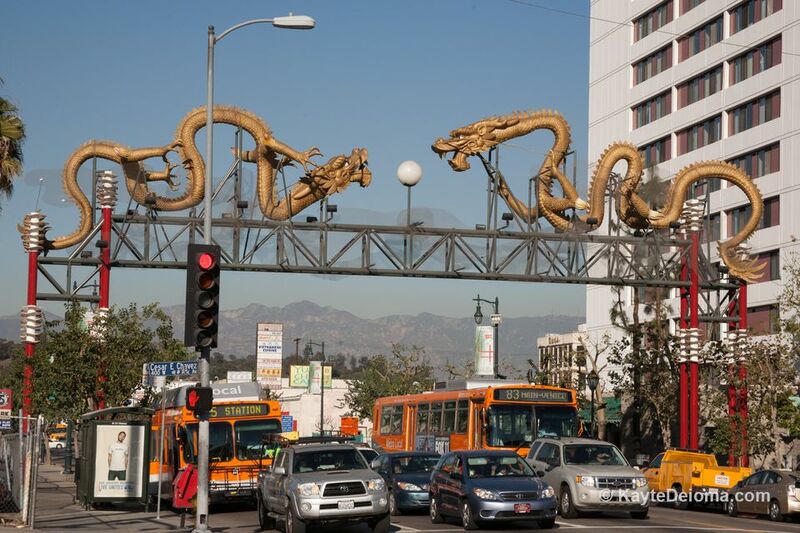 What was once Culver City's oldest industrial district, architect Eric Owen Moss and developers Frederick and Laurie Samitaur Smith created the Hayden Tract in 1986 as a redevelopment project and economic development engine fueled by arts and design. 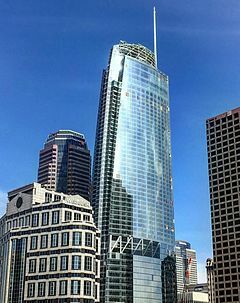 The result is buildings known as "The Beehive," "The Stealth" and "The Umbrella," a dance studio known as Conjuntive Points, Moss' own design studio and one of Los Angeles' most innovative design centers. From 1931 to 1969, Angelenos knew their bread, and it came from blue-and-yellow delivery trucks from the legendary Helms Bakery, founded at this site, with eventual satellite bakeries in Montebello and San Bernardino. 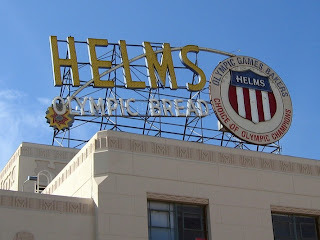 It was the official bread of the 1932 Olympic Games here in Los Angeles, and the bread was so renowned, it was provided to the U.S. Olympic teams in subsequent Olympiads. It was even the first bread eaten on The Moon, as part of the Apollo 11 astronauts' food rations. But you couldn't buy the bread in any store, it was only from their delivery trucks (yes, the food truck craze is not new round here) with their tell-tale "TOOT! TOOT!" whistle. Ultimately, after an era where people bought food from delivery trucks, the Helms brand succumbed to the rise of the supermarket. This building and its trademark neon sign stand, adaptively reused, as a testament to its history and impact on Southern California. 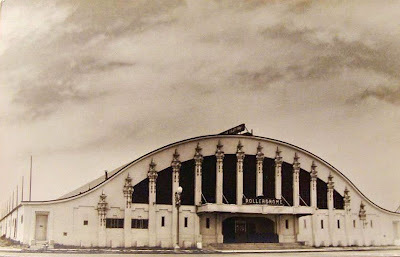 But everything old is new, and the Helms Bakery plans to re-open again! 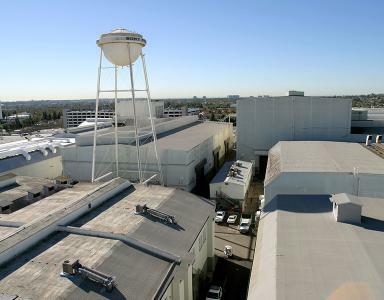 One can't mention Culver City without mentioning its massive movie lot, originally Thomas Ince's (remember him?) 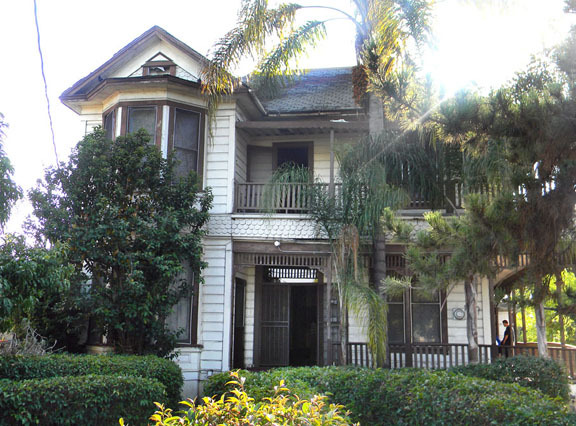 Triangle Studios operation until he moved to the Culver Studios property and sold this site to D.W. Griffith and Mack Sennett. 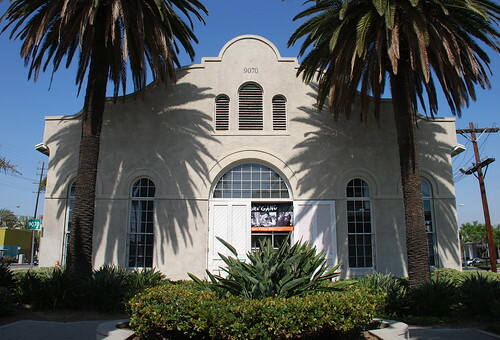 In 1918, the studio was sold to Samuel Goldwyn, which became Metro Goldwyn Mayer in 1924 (following the merger of Metro Pictures, Goldwyn Studios and Louis B. Mayer Productions). 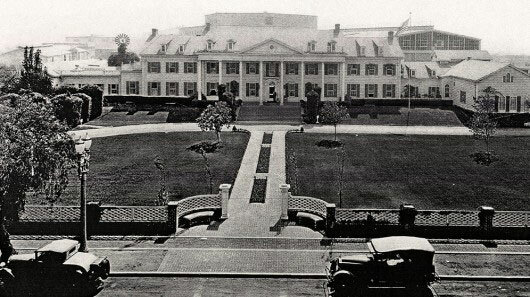 It became the Columbia Pictures studios in 1989 and Sony Pictures Studios from 1992 to the present. On this lot was filmed a countless list of Hollywood productions, most notably The Wizard of Oz in 1939 (you will be riding next to the actual Land of Oz, think about that...), and currently, TV shows like Jeopardy! and Wheel Of Fortune. Not to be outdone by Universal and Warner Brothers, but you can also take a tour of this studio lot (weekdays only). If heading northwest along Motor Avenue, please skip to #21. 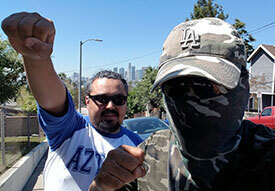 During the "Culver City Meets Venice" CicLAvia in August 2015, a minor controversy erupted when the restaurant's owner threatened to sue Culver City government for potential lost revenue due to the CicLAvia route, and everyone, including The Militant got all in on that, but ultimately, cooler heads prevailed, and after an intervention by the CicLAvia organization, Tito's Tacos warmed up to the route, and likely did a 180 once crowds queued up along their sidewalk service windows. Titogate 2015 was now history. All is good now, and Tito's is a mainstay of every Culver City CicLAvia. The moral of the story? Never fear CicLAvia, and a little communication and understanding goes a long way. 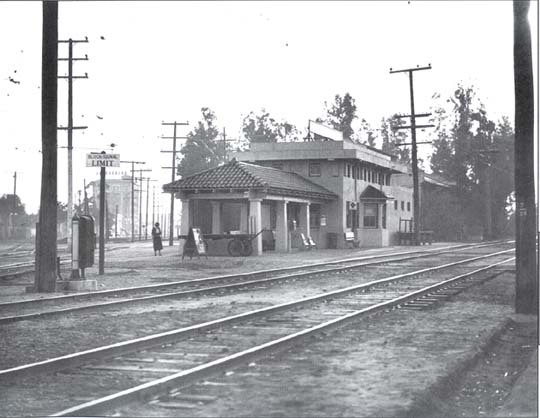 You may or may not know that Venice Boulevard, in addition to being a two-time CicLAvia route, was also a Pacific Electric Red Car line, but did you know it's also a designated California State Highway? In 1964, CalTrans designated State Route 187 starting at the Pacific Ocean. In 1994, it was shortened to the 5.4 miles from Lincoln Boulevard to the 10 Freeway. 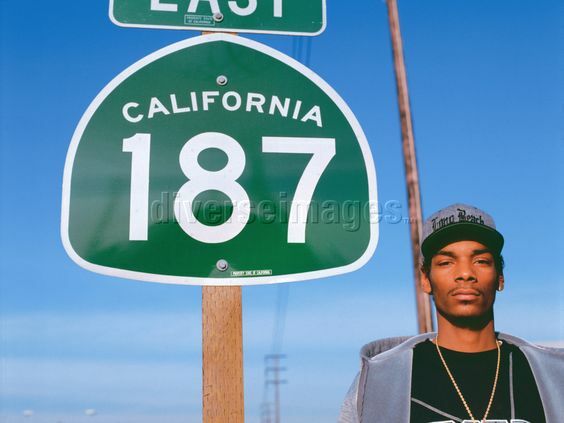 The number "187" also happens to be a reference to the California Penal Code designation for murder, which is most likely why a young, '90s-era, pre-commercialized Snoop Dogg is standing by the sign in this photo. 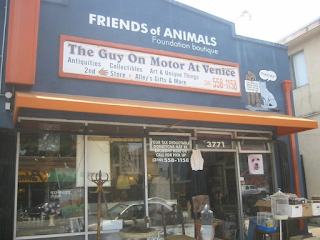 While you're here, support the business and buy something inside. 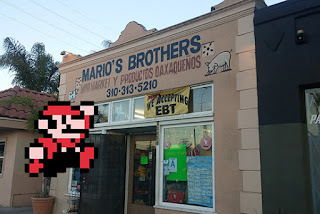 Maybe it really is owned by a Mario. Or a Luigi. Ask where The Princess is. If they're successful enough, they might move to a larger location and rename themselves "Super Mario's Brothers." Tweet a pic of yourself (or your group) in front of Mario's Brothers with the hashtag "#EpicCicLAviaTour"! 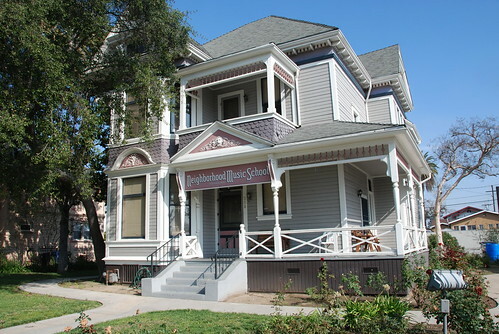 Venice's namesake secondary school was one of three on-location sites for Rydell High in the 1978 motion picture Grease, and was the school scene in the Britney Spears video for her debut hit, "...Baby One More Time." 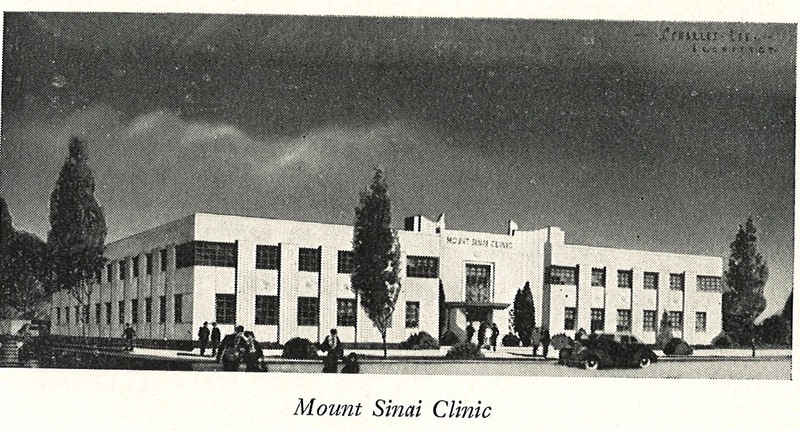 The main Moderne-style school buildings, built in 1935-37 were designed by local architects John C. Austin and Frederick M. Ashley, who also designed the Griffith Observatory. The campus is also famous for its statue of legendary Hollywood actress and famous alumna Myrna Loy at the front of the school. Other famous alumni include Beau Bridges, Crispin Glover, the late Ivory Queen of Soul, Teena Marie and In-N-Out Burger founder Harry Snyder. Go Gondoliers! Not historic, but this is The Militant's go-to place for making physical prints of his digital photographs. Nice folks, nice prices and quick service! 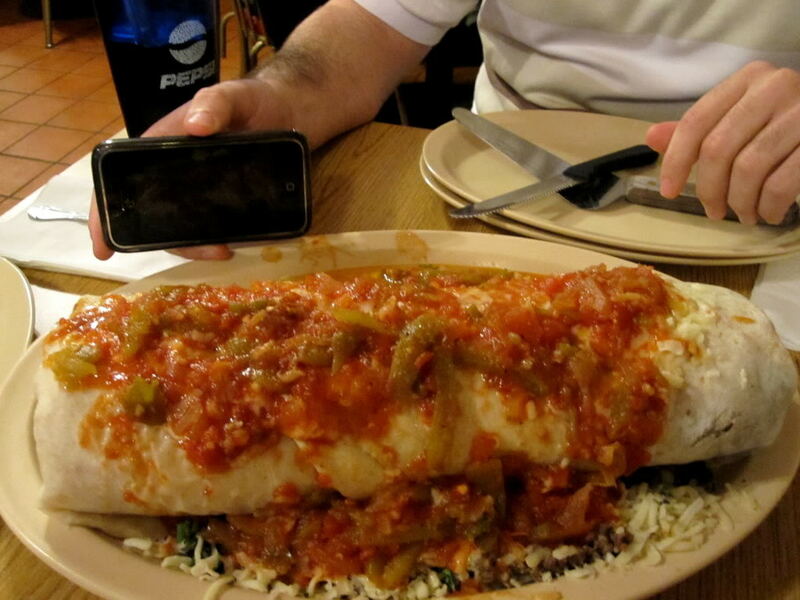 Home of their legendary garlic chicken and black beans, among other menu items, this restaurant was founded at this location by Cuban immigrant Orlando Garcia in 1981 after opening a restaurant called El Rincon Criollo near Downtown Los Angeles in the late 1970s. So why is does an iconic Cuban restaurant bear the name of a historic palace in France? 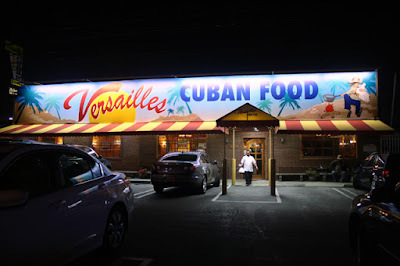 Originally to be named "El Rincon Criollo #2," it was named "Versailles" at the urging of his son and current owner William Garcia, who recalls visiting a fishing village called Versailles during his youth with his father, and stayed at Miami's Versailles hotel after his own wedding. And during his honeymoon, the cruise ship's dining room was also called Versailles. So his geographical leitmotif won out. 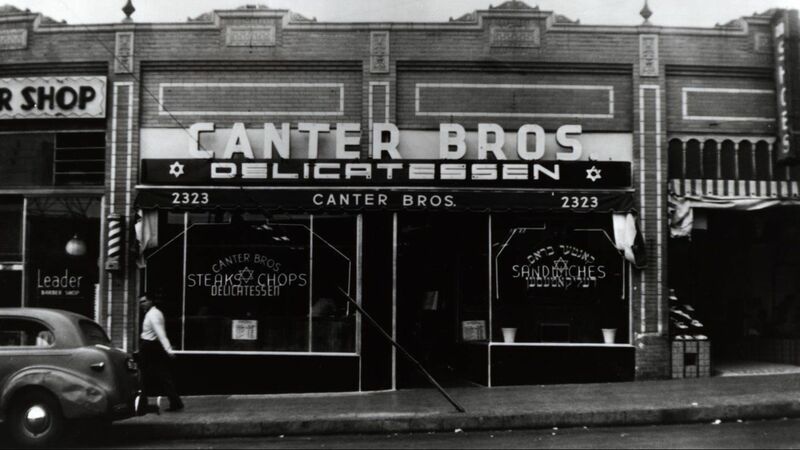 The restaurant, now a local chain, eventually grew to five locations, but three (including locations in Encino and near Beverly Hills) operate today. While waiting for his digital prints at Digital Imaging Center and after shopping for the latest camo threads at The Surplus Store across the street, The Militant stumbled on this rather random, eclectic and interesting thrift/antique store, which, depending on your tastes and interests, is either The Most Awesome Place Evar or a total P.O.S. -- you decide. The guy is one Rick Lamb, who has run this place since 2002 and donates the proceeds of his sales to the organization Friends of Animals. 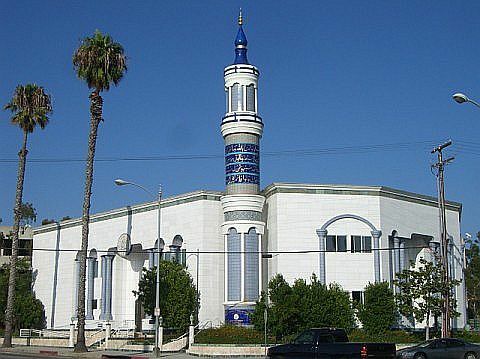 This cultural center, school and house of worship for Los Angeles' Iranian American Shia Muslim community, most of which live in the Westside. 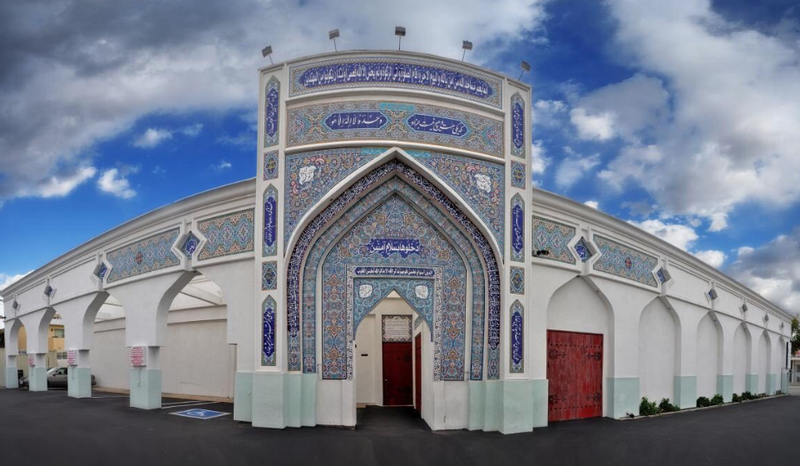 Unlike the immigrants from Iran who identify as Persians (who are mostly Jewish) or other Muslims (who are mostly Sunni Muslims, the majority sect of Islam that has had a 1,387-year tiff with the Shiites) this minority-within-a-minority community holds this venue in high regard. And it's expected to be kickin' in a few weeks when it hosts the Nowruz, or Persian New Year festival on March 21. Whatup with National Boulevard? 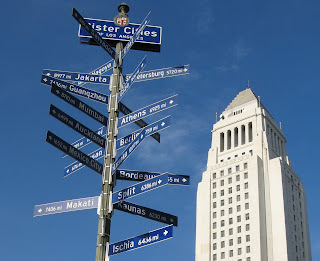 It is perhaps one of the most perplexing throughfares in all of Los Angeles with its constant, excessive twists, turns and bends. 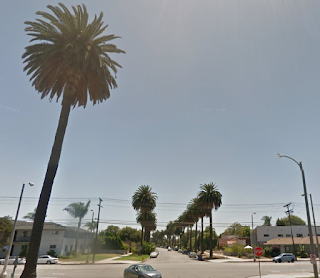 But alas, our Freeway Culture is to blame: Before the late 1950s, National was a somewhat more straightforward street but was consequently chopped up and made into a crooked mess due to the construction of the Santa Monica Freeway. This sharp turn near Rose Avenue features an eclectic, multicultural array of restaurants, markets and shops usually not found in the Westside, such as the Simpang Asia Indonesian market, Madre Oaxacan Restaurant, Hu's Szechuan Restaurant, The Vegan Joint, and just around the corner, Mama's Pizza and the Irish Times pub. The Militant covered this curious corner back in 2007. See you or not see you on the streets this Sunday! Low chance of rain in the morning, but always remember - THE SUN ALWAYS SHINES ON CICLAVIA! Happy CicLAvia! Commandeered by Militant Angeleno @ 8:45 PM 1 comment: Hyperlinks, yo!